With one of the longest introductory APRs available, the Citi Simplicity card ranks near the top of balance transfer offers. It also comes with no late fees or penalty APR, making it one of the most flexible options for cardholders looking to pay down some debt. However, it comes with a higher than average balance transfer fee – which can make significant dent in your interest savings. The Citi Simplicity card is one of few that doesn’t charge a late payment fee or penalty APR – no matter how many times you pay late. While there is still a $39 penalty fee on returned payments, this is a huge perk for cardholders looking to pay down debt. Just keep in mind that no card is truly fee-free. You’ll still have to pay interest on late payments, which can add up quickly on larger balances. Plus, payments that are more than 30 days late can negatively affect your credit report, making it harder to qualify for new credit card offers or balance transfers. The most eye-catching feature on the Citi Simplicity card is certainly its introductory offer for balance transfers. Cardholders get a 0 percent APR for the first 21 months on balance transfers (16.24-26.24 percent variable APR thereafter) – which is six months longer than other top promotions. If you have a large balance to pay down, the extra six months without interest can add up to significant savings. Tip: Wondering how much a balance transfer can save you in interest? Just enter your current balance, APR and monthly payment into the CreditCards.com balance transfer calculator. With interest rates at an all time high, taking advantage of a balance transfer offer is almost always the better deal. The major downside is the hefty balance transfer fee – $5 or 5 percent of each transfer, whichever is higher. In fact, choosing a shorter introductory APR on a card without a balance transfer fee might actually save you more money. Consider, for example, the Chase Slate card. Its 0 percent APR for balance transfers is only 15 months (17.24-25.74 percent variable APR thereafter). However, it doesn’t charge a balance transfer fee. Though you’ll have to pay six more months of interest on the Chase Slate than the Citi Simplicity, you’ll make up that cost with the savings from the balance transfer fee. In the end, there are several factors that go into choosing a balance transfer card, including charges like late fees. Just be sure to consider how much the high balance transfer fee will cost you before jumping at a long introductory APR. In addition to a generous introductory APR on balance transfers, the Citi Simplicity offers cardholders a 0 percent APR on new purchases for the first 12 months (16.24-26.24 percent variable APR thereafter). If you are looking to finance a larger purchase with time to pay it down interest fee, this can be a great option. Just be careful not to charge more than you can pay off over the first 12 months. After the introductory period ends, the Citi Simplicity charges a variable APR of anywhere from 16.24 percent to 26.24 percent, depending on your creditworthiness. Even if you qualify for the lower end of this range, this is a relatively high interest rate. If you plan to continue to use this card for purchases after the introductory offers end, be sure not to charge more than you can pay off each month. Carrying a balance on this card can be costly. Unfortunately, the Citi Simplicity card does not include any sort of rewards program. While it is certainly a great option for paying down debt, it doesn’t maintain much long-term value after you pay off your balance. However, balance transfer cards that do include rewards programs often have shorter introductory APRs. Despite not having an annual fee or rewards program, the Citi Simplicity comes with some decent additional perks. When used strategically, you can take advantage of benefits like Citi Price Rewind to save money while shopping. Citi Price Rewind– One of the most valuable perks Citi offers, Price Rewind searches for a lower price on purchases you’ve made in the last 60 days. If the price drops, you can receive up to $200 back per item and $1,000 back per year to make up the difference. Damage and theft protection– If an item you purchased with your Citi Simplicity card is damaged or stolen in the first 90 days, you can qualify for reimbursement of up to $10,000 per incident (up to $50,000 per year). Extended warranty– For qualifying items paid for with your Citi card, you can extend the manufacturer’s warranty by an additional 24 months. Among major issuers, Citi’s customer service fails to impress. In J.D. Power’s 2018 customer satisfaction survey, Citi ranked seventh out of 12 banks. The bank’s app rates well in the Apple App Store (4.8 out of 5) but pulls a mediocre rating in the Google Play Store (3.9 out of 5). On the plus side, the bank does offer 24/7 customer service and an online chat feature – making it easy to find quick answers to simple questions. The Citi Simplicity card is designed for users with good to excellent credit (above 670) so you’ll want to ensure you meet those qualifications before you apply. Additionally, balance transfer approvals are awarded separately from a card account, based on your credit limit. That means you can be approved for the card, but you might not have a high enough credit limit to transfer your whole balance – especially if you are on the lower end of the credit score qualifications. Before you apply for the Citi Simplicity, you should ensure you have a decent history of on-time payments to boost your chances of getting a higher credit limit. Otherwise, you might end up having to apply for multiple balance transfer offers, which can ding your credit score. Tip: You can check to see if you pre-qualify for any card offers on Citi’s website to avoid a hard pull on your credit score. How does the Citi Simplicity compare to other balance transfer cards? While the Citi Simplicity has one of the longest balance transfer introductory APRs available, its large balance transfer fee limits its appeal. Depending on your credit score and the size of your balance, another card might make more sense for you. 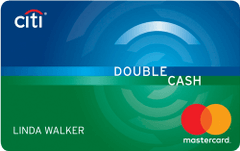 With a top-tier rewards rate, the Citi Double Cash card is a great choice for cardholders who need time to pay down a balance – but don’t want to sacrifice long-term rewards potential. Like the Citi Simplicity, the Citi Double Cash Card comes with valuable shopping benefits. However, its introductory periods for both balance transfers and new purchases are much shorter. The Chase Slate does not include any sort of rewards program, but it offers something much more valuable to cardholders with a large balance to pay off: It doesn’t charge a balance transfer fee for the first 60 days. As mentioned before, a card with no balance transfer fee can actually save you more money than a longer balance transfer offer. The downside is that the Chase Slate does include late fees. The Discover it Balance Transfer is another great option for users who need to pay down some debt but still take advantage of a rewards program. It comes with a shorter 0 percent introductory APR than the Citi Simplicity (18 months) but its ongoing APR is a bit lower, ranging from 14.24 percent to 25.24 percent. The Discover it card’s rewards rate can be very lucrative, but cardholders will have to enroll in rotating bonus categories each quarter to make the most of the card. Who should get the Citi Simplicity card? Cardholders who are focused on paying down a large balance rather than earning rewards. Cardholders looking for one of the longest interest-free balance transfer periods available. Users who will take advantage of perks like damage and theft protection and Citi Price Rewind to save money while shopping. Cardholders who sometimes miss payment deadlines. Make a plan to pay off your balance in the first 21 months of card ownership to avoid hefty interest charges. Make larger purchases on your Citi Simplicity card to take advantage of protections like extended warranty. Calculate how much you’ll save on interest and compare it to the cost of the balance transfer fee to make sure transferring a balance is best for you. 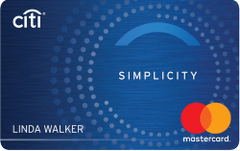 Is the Citi Simplicity card worth it? Despite having no rewards program and a higher than average balance transfer fee, the Citi Simplicity card is still a great option for users who need time to pay off some debt. If you are carrying a large balance, you could be saving significant money on interest by taking advantage of an offer like this one.